For other uses, see Faulkner (disambiguation). 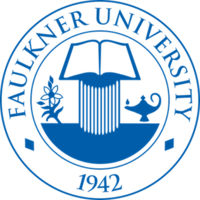 Faulkner University is a private Christian university in Montgomery, Alabama. It is affiliated with the Churches of Christ. The university was founded in 1942 as Montgomery Bible School. In 1953 the school's name was changed to Alabama Christian College (ACC). In 1965, the college was moved to its present location on Atlanta Highway. The year 1975 marked the beginning of the school's satellite campuses in Mobile, Huntsville and Birmingham. In 1985, the school was renamed Faulkner University in honor of Dr. James H. Faulkner, Sr., a longtime supporter and chairman of the board. Faulkner University is accredited by the Commission on Colleges of the Southern Association of Colleges and Schools to award associate, baccalaureate, master’s, a doctorate in humanities, a doctorate in biblical studies, and juris doctor degrees. The Faulkner Eagles is the athletic name of the teams that compete for Faulkner University. Faulkner participates in the NAIA. Sports for men include baseball, basketball, football, golf and soccer. Sports for women include basketball, golf, soccer, softball and volleyball. 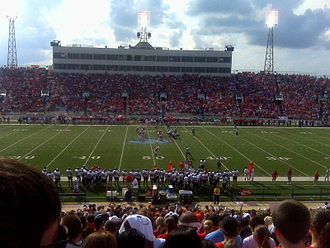 Most sports participate within the Southern States Athletic Conference, while football participates in the Mid-South Conference's sun division, starting with the 2016 season. Faulkner formerly also competed in the NCCAA, winning the national championship in baseball in 2001. Faulkner operates the Thomas Goode Jones School of Law, with between 200 and 300 students. The school of law was provisionally accredited by the American Bar Association in 2006, and fully accredited in 2009. The Kearley Graduate School of Theology, which opened the fall of 2013, offers students Masters of Arts degrees in Biblical Theology, as well as a low-residency PhD in Biblical Studies. Faulkner University is one of a handful of high-learning institutions in the United States that still teaches from the canon of literature known as the Great Books of the Western World. Students attending Faulkner University are able to obtain a low-residency Master's degree or a PhD in the Humanities through the university’s Honors College. ^ As of June 30, 2015. "U.S. and Canadian Institutions Listed by Fiscal Year (FY) 2015 Endowment Market Value and Change in Endowment Market Value from FY 2014 to FY 2015" (PDF). National Association of College and University Business Officers and Commonfund Institute. Archived from the original (PDF) on January 31, 2016. Retrieved April 23, 2016. ^ Faulkner 2015 Brand Standards & Guidelines (PDF). Retrieved 2016-04-23. ^ "sacs members" (PDF). Archived from the original (PDF) on July 25, 2011. ^ Wilson, Michael (25 February 2016). "Local teams officially join Mid-South football conference". The Lakeland Ledger. Retrieved 27 February 2016. ^ "Faulkner announces resignation of football coach, athletic director Brent Barker". 12 June 2014. Retrieved 20 February 2017. ^ "BRIGHT, Bobby Neal, Sr., (1952 – )". Biographical Directory of the United States Congress. Retrieved February 2, 2013. ^ "Marcus Brimage UFC Profile". Ultimate Fighting Championship. Archived from the original on July 16, 2017. ^ "Faulkner University, Thomas Goode Jones School of Law". National Jurist. Archived from the original on March 25, 2017. ^ Zaretsky, Staci (July 24, 2015). "Lafayette Movie Theater Gunman Was A Law School Graduate". Above the Law. Archived from the original on August 27, 2016. ^ "Faulkner University, Thomas Goode Jones School of Law". Law School Admission Council. Archived from the original on August 17, 2016. ^ Matheny, J. Randal. "Faulkner University Forms New Graduate School of Theology, Honors F. Furman Kearley". Brotherhood News. Archived from the original on July 10, 2017. ^ "Faulkner University". Education Corner. Archived from the original on February 2, 2017. 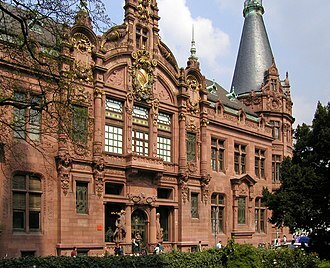 ^ "Master of Arts in Humanities". Faulkner University. Archived from the original on July 7, 2017. ^ "Doctor of Philosophy in Humanities". Faulkner University. Archived from the original on November 8, 2016. 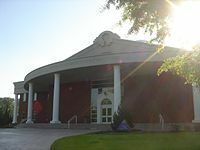 Wikimedia Commons has media related to Faulkner University. The University of West Alabama is a public university located in Livingston, United States. Founded in 1835, the school began as a school for young women called Livingston Female Academy. The original Board of Trustees of Livingston Female Academy was selected in 1836, the university serves students in several academic colleges and divisions on a 600-acre campus in west-central Alabama. UWA offers an arrangement of degree programs including associate, masters. The university hosts concerts, lectures and spring theatrical productions and spring commencement exercises and its athletics teams – known as the UWA Tigers — are members of the Gulf South Conference and compete in the NCAAs Division II in all sports except two. The mens and womens teams compete in the Ozark Region of the National Intercollegiate Rodeo Association. 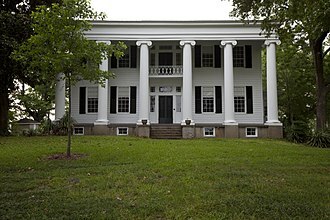 The University of West Alabama began as Livingston Female Academy in 1835, as a church-related female academy, it admitted its first students in 1839. The school was established by ethnic Scots-Irish Presbyterians, who controlled the majority of seats on the first board of trustees selected in 1836, the purpose of the school was to educate future teachers, while offering course work in art, music and home economics. Tuition at this time was $20 annually with an additional $25 charged for piano lessons and $10 for French language, jones Hall was the first building constructed on the campus in 1837, and was located near what is now Brock Hall. On January 15,1840, state lawmakers incorporated Livingston Female Academy, granted it tax-exempt status, Livingston Female Academy awarded its first diploma in 1843 to Elizabeth Houston, the daughter of M. L. Houston, a prominent local businessman and a school trustee. The first principal of the school was A. A. Kimbrell, in 1853, Dr. Robert Dickens Webb arrived in Sumter County and served as a trustee for more than 40 years. He led the school during the American Civil War and Reconstruction through the 1870s, the main administration building that sits in the middle of campus today is named in his honor. In 1878, the changed its name to Livingston Normal College. Education reformer Julia Strudwick Tutwiler joined the faculty in 1881 as co-principal with her uncle, Carlos G.
Churches of Christ are autonomous Christian congregations associated with one another through common beliefs and practices. They seek to base doctrine and practice on the Bible alone in order to be the church described in the New Testament, Churches of Christ in the United States have heritage in the American Restoration Movement. 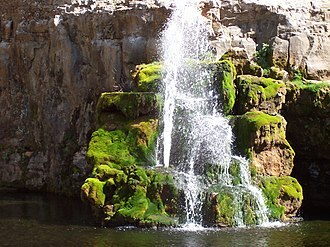 This evangelistic and Bible-based effort began in places as several people sought a return to the original teachings. The Restoration ideal was similar and somewhat connected to restoration efforts in Europe. They did not see themselves as establishing a new church, the names Church of Christ, Christian Church, and Disciples of Christ were adopted by the movement because they believed these terms to be biblical, rather than denominational. 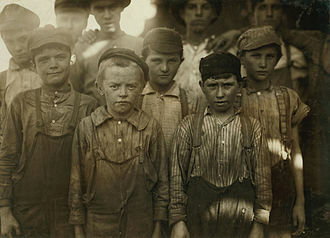 Religious Census of 1906, all associated with the Restoration Movement had been reported together by the Census Bureau. The congregations in the a cappella tradition are the subject of this article, both issues highlighted differences in the groups underlying approaches to Biblical interpretation. For the Christian Churches, any practice not expressly forbidden could be considered, though not officially recognized as distinct movements until 1906, the separation of the Churches of Christ and the Christian Churches had been taking place gradually for decades. The Restoration Movement was not a purely North American phenomenon, there are now Churches of Christ in Africa, Australia, South America, Central America, and Europe. Members of the church of Christ do not conceive of themselves as a new church started near the beginning of the 19th century, the whole movement is designed to reproduce in contemporary times the church originally established on Pentecost, A. D.33. The strength of the lies in the restoration of Christs original church. D. They simply identify themselves as Christians, without using any other forms of religious or denominational identification and they believe that they are recreating the New Testament church as established by Christ. In American congregations the terms Communion or body and blood are used, the term Eucharist is rarely, if ever, used. 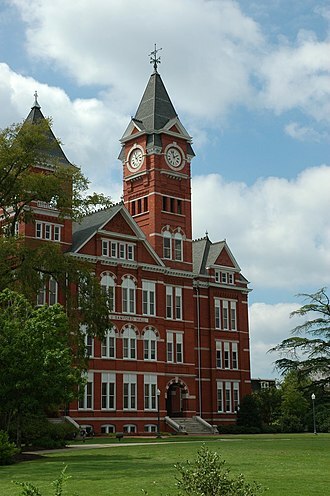 Auburn University is a public research university in Auburn, United States. Auburn was chartered on February 1,1856, as East Alabama Male College, in 1872, under the Morrill Act, it became the states first public land-grant university and was renamed as the Agricultural and Mechanical College of Alabama. In 1892, it became the first four-year coeducational school in Alabama, in 1960, its name was changed to Auburn University to acknowledge the varied academic programs and larger curriculum of a major university. In 1964, under Federal Court mandate, AU admitted its first African American student, Auburn is among the few American universities designated as a land-grant, sea-grant, and space-grant research center. The Alabama Legislature chartered the institution as the East Alabama Male College on February 1,1856 and its first president was Reverend William J. Sasnett, and the school opened its doors in 1859 to a student body of eighty and a faculty of ten. Auburns early history is linked with the Civil War and the Reconstruction-era South. Classes were held in Old Main until the college was closed due to the war, the campus was a training ground for the Confederate Army, and Old Main served as a hospital for Confederate wounded. It sits today on the next to Samford Hall. The school reopened in 1866 after the end of the Civil War, in 1872, control of the institution was transferred from the Methodist Church to the State of Alabama for financial reasons. Alabama placed the school under the provisions of the Morrill Act as a land-grant institution and this act provided for 240,000 acres of Federal land to be sold to provide funds for an agricultural and mechanical school. As a result, in 1872 the school was renamed the Agricultural and Mechanical College of Alabama, under the Acts provisions, land-grant institutions were supposed to teach military tactics and train officers for the United States military. In the late 19th century, most students at the Agricultural and Mechanical College of Alabama were enrolled in the program, learning military tactics. Bobby Neal Bright Sr. is an American politician who served as U. S. Representative for Alabamas 2nd congressional district from 2009 to 2011 and he is a member of the Democratic Party. The district includes just over half of the capital, Montgomery. Bright is the first Mayor of Montgomery to be elected to Congress, in November 2010, he was defeated for a second term in the U. S. House by Republican nominee Martha Roby, a Montgomery City Council member. Bright was born in Midland City and grew up on one of the farms that were typical of the Wiregrass Region. After spending his youth working on the farm and graduating high school. While working in the system, he was deeply affected by the many young people he saw entering the penitentiaries. Bright received his Juris Doctor from the Thomas Goode Jones School of Law at Faulkner University in 1982 and he practiced law for fifteen years before entering into politics. Bright was first elected in 1999, defeating longtime incumbent Republican Emory Folmar and he was re-elected in a landslide against challenger Scott Simmons in 2003. During Brights tenure he revitalized Montgomerys downtown and riverfront including the Renaissance Montgomery complex and he helped bring new jobs to the area, and saved existing jobs. He was named the states Tourism Advocate of the Year by the Governor for his work in building that industry. 2008 Bright had never previously claimed affiliation with any party, the districts eight-term incumbent, Republican Terry Everett, was not running for reelection. Like many Alabama Democrats, he opposes abortion and gun control, however, he favors a strong, honorable plan to end the Iraq War. Bright was considered the strongest Democrat to run in a district that had been in Republican hands since 1965, with the strong support of the state and national Democratic establishment, Bright easily won the Democratic nomination against two minor challengers. He faced Republican State Representative Jay Love in the November election, both Bright and Love are deacons at First Baptist Church in Montgomery. Bright received the endorsement of bitter Republican primary loser State Senator Harri Anne Smith, just before the election, CQ Politics, The Cook Political Report and The Rothenberg Political Report rated the race a toss-up, with neither candidate a clear favorite over the other. The University of Alabama at Birmingham is a public university in Birmingham in the U. S. state of Alabama. The UAB Health System, one of the largest academic medical centers in the United States, is affiliated with the university, UAB Hospital sponsors residency programs in medical specialties, including internal medicine, surgery and anesthesiology. UAB Hospital is the only ACS verified Level I trauma center in Alabama, UAB is the states largest employer, with more than 18,000 faculty and staff and over 53,000 jobs at the university and in the health system. An estimated 10 percent of the jobs in the Birmingham-Hoover Metropolitan Area and 1 in 33 jobs in the state of Alabama are directly or indirectly related to UAB, the universitys overall annual economic impact was estimated to be $4.6 billion in 2010. The center operated in an old house in downtown Birmingham at 2131 6th Avenue North, in 1945, UAs newly established four-year School of Medicine moved from Tuscaloosa to Birmingham and took over management of Jefferson and Hillman hospitals. In 1957 enrollment at the center stood at 1,856. By 1959, research grants, training grants, and fellowships exceeded $1,000,000, by the 1960s, it grew apparent that the extension center was becoming a university in its own right. An engineering building was close to the medical center in 1962, and in 1966, the Extension Center. An Advisory Board for UAB was created in 1967, dr. Joseph Volker was named the first president of UAB. In the 1970s, the university began a period of rapid growth, enrollment at the beginning of the decade stood at 6,629, including 2,724 women. To accommodate the student population, UAB acquired land in the Southside. UAB Mini Park was dedicated in 1977, the university created an intercollegiate athletic program, joined the NCAA and began fielding teams beginning with golf in 1970 and mens basketball in 1978. The universitys name was changed to the University of Alabama at Birmingham in 1984, by 1990, UAB had awarded its 50, 000th degree. In 1992, U. S. News and World Report named UAB as the #1 up-and-coming university in the United States, in 1993, UABs economic impact on the Birmingham region was estimated at more than $1.5 billion per year. Mobile is the county seat of Mobile County, United States. Alabamas only saltwater port, Mobile is located at the head of the Mobile Bay, Mobile is the principal municipality of the Mobile metropolitan area. This region of 412,992 residents is composed solely of Mobile County, Mobile is the largest city in the Mobile-Daphne−Fairhope CSA, with a total population of 604,726, the second largest in the state. As of 2011, the population within a 60-mile radius of Mobile is 1,262,907, Mobile began as the first capital of colonial French Louisiana in 1702. During its first 100 years, Mobile was a colony of France, Mobile first became a part of the United States of America in 1813, with the annexation of West Florida under President James Madison. In 1861 Alabama joined the Confederate States of America, which surrendered in 1865, Mobile is known for having the oldest organized Carnival celebrations in the United States. The festival began to be celebrated in the first decade of the 18th century by its first French Catholic colonial settlers. Mobile was host to the first formally organized Carnival mystic society, known elsewhere as a krewe, to celebrate with a parade in the United States, in 2005 the first integrated mystic society had a parade for Mardi Gras. The city gained its name from the Mobile tribe that the French colonists encountered living in the area of Mobile Bay. 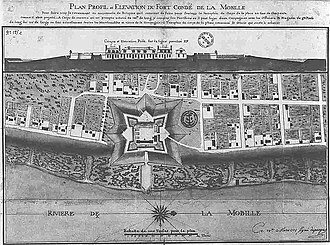 The Mobile tribe, along with the Tohomé, obtained permission from the colonists, about seven years after the founding of the Mobile settlement, to settle near the fort. It was founded by French Canadian brothers Pierre Le Moyne dIberville and Jean-Baptiste Le Moyne, Sieur de Bienville, Bienville was appointed as royal governor of French Louisiana in 1701. Mobiles Roman Catholic parish was established on July 20,1703, by Jean-Baptiste de la Croix de Chevrières de Saint-Vallier, the parish was the first French Catholic parish established on the Gulf Coast of the United States. In 1704 the ship Pélican delivered 23 French women to the colony, though most of the Pélican girls recovered, numerous colonists and neighboring Native Americans contracted the disease in turn and died. The University of Alabama in Huntsville is a state-supported, coeducational research university in Huntsville, United States. UAH is one of three members of the University of Alabama System, which includes the University of Alabama at Birmingham, all three institutions operate independently, with only the president of each university reporting to the Board of Trustees of the system. The university enrollment is approximately 8,500, the genesis for a publicly funded institution of higher education in Huntsville was years in the making. 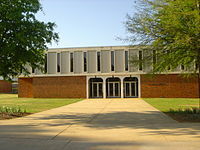 Beginning in January 1950 as an extension of the University of Alabama and known as the University of Alabama Huntsville Center, even though Huntsville had been home to Alabama Agricultural and Mechanical College since 1875, and Oakwood University since 1896, this was still the era of segregation. UAHs first undergraduate degrees were awarded in May 1968 as part of the commencement ceremony at The University of Alabama. One year later, the University of Alabama System Board of Trustees voted to make UAH an independent and autonomous campus. Dr. Benjamin Graves, a graduate of the University of Mississippi in 1942 and he returned to faculty status in 1979 and retired in 1989. The first degree awarded for work completed entirely on the UAH campus was awarded to Julian Palmore in 1964, mr. Palmore was at the time a United States Navy ensign assigned to NASAs Research Projects Division. The first official on-campus graduation ceremony at UAH was in June 1970, the first woman to earn a PhD from UAH was Virginia Kobler in 1979, in Industrial Engineering. UAHs second president, Dr. John Wright, was Vice Chancellor of the West Virginia University, wrights term ended in 1988 and Dr. Louis Padulo, former Stanford professor and dean of engineering of Boston University, became UAHs third president. Huntsville leader Joseph Moquin took over the UAH presidency on a basis in 1990. Dr. Frank Franz, who was provost at West Virginia University, was chosen as UAHs fourth president and his wife, Dr. Judy Franz, accompanied him and was granted full professorship in the physics faculty. Montgomery /mɒntˈɡʌməri/ is the capital of the U. S. state of Alabama and is the county seat of Montgomery County. Named for Richard Montgomery, it is located on the Alabama River, as of the 2013 Census, Montgomery has a population of 201,332. It is the second-largest city in Alabama, after Birmingham, and is the 115th largest in the United States, the Montgomery Metropolitan Statistical Area had a 2010 estimated population of 374,536. It is the fourth-largest in the state and 136th among United States metropolitan areas, the city was incorporated in 1819 as a merger of two towns situated along the Alabama River. 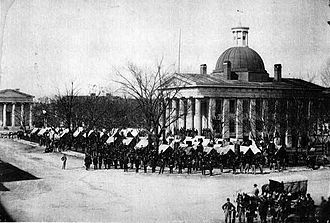 In February 1861, Montgomery was selected as the first capital of the Confederate States of America, until the seat of government moved to Richmond, Virginia, in May of that year. During the mid-20th century, Montgomery was a center of events and protests in the Civil Rights Movement, including the Montgomery Bus Boycott. Two ships of the United States Navy have been named after the city, Montgomery has been recognized nationally for its downtown revitalization and new urbanism projects. It was one of the first cities in the nation to implement Smart Code Zoning, prior to European colonization, the east bank of the Alabama River was inhabited by the Alibamu tribe of Native Americans. The Alibamu and the Coushatta, who lived on the west side of the river, were descended from the Mississippian culture. This civilization had numerous chiefdoms throughout the Midwest and South along the Mississippi and its tributaries and its largest location was at Cahokia, in present-day Illinois east of St. Louis. The historic tribes spoke mutually intelligible Muskogean languages, which were closely related, present-day Montgomery is built on the site of two Alibamu towns, meaning red earth, and Towassa, built on a bluff called Chunnaanaauga Chatty. The first Europeans to travel through central Alabama were Hernando de Soto and his expedition, the next recorded European encounter occurred more than a century later, when an English expedition from Carolina went down the Alabama River in 1697. Aravious Ray-Ray Armstrong is an American football inside linebacker for the San Francisco 49ers of the National Football League. He played college football at Miami from 2009 to July 2012 and he was not selected in the 2013 NFL Draft but was signed as an undrafted free agent by the St. Louis Rams. Armstrong attended Seminole High School in Sanford, Florida and he played both quarterback and safety. As a senior, he led Seminole to the 2008 FHSAA Class 6A state championship over Teddy Bridgewaters Miami Northwestern. During that year he threw for 1,400 yards and 14 touchdowns, rushed for 1,144 yards with 22 touchdowns, as a safety he had 70 tackles, two interceptions, three forced fumbles and two fumble recoveries. 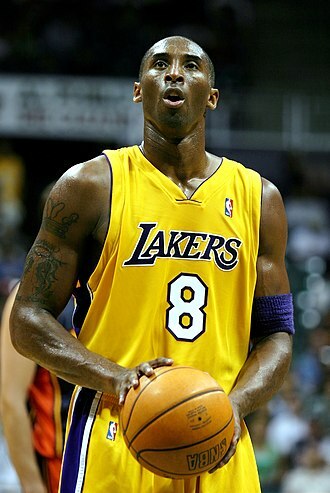 He was considered the 13th best recruit in 2009 by Rivals. com, as a freshman with the Miami Hurricanes in 2009, Armstrong played in 10 games, recording 14 tackles. As a sophomore in 2010, Armstrong took over as a starter and has 66 tackles, on July 18,2012, Armstrong was dismissed from the Hurricanes football team for being dishonest during an internal investigation. Birmingham is the most populous city in the U. S. state of Alabama and the county seat of Jefferson County. The citys population was 212,237 in the 2010 United States Census, the Birmingham-Hoover Metropolitan Statistical Area had a population of about 1,128,047 according to the 2010 Census, which is approximately one quarter of Alabamas population. Birmingham was founded in 1871, during the post-Civil War Reconstruction period and it was named for Birmingham, one of the UKs major industrial cities. The Alabama city annexed smaller neighbors and developed as an industrial and railroad center, based on mining, the new iron and steel industry. Most of the settlers who founded Birmingham were of English ancestry. From its founding through the end of the 1960s, Birmingham was an industrial center of the southern United States. Its growth from 1881 through 1920 earned its nicknames as The Magic City and its major industries were iron and steel production, plus a major component of the railroading industry. Rails and railroad cars were manufactured in Birmingham. The two primary hubs of railroading in the Deep South have been nearby Atlanta and Birmingham, since the 1860s, the economy has diversified since industrial restructuring in the latter half of the 20th century. Banking, telecommunications, electrical transmission, medical care, college education. Except for coal mining, the industry has declined in the Birmingham area, Birmingham ranks as one of the most important business centers in the Southeastern United States and as one of the largest banking centers in the nation. 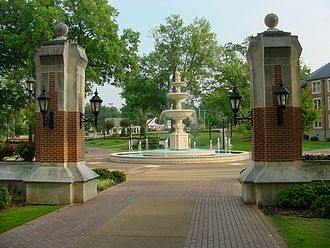 In higher education, Birmingham has been the location of the University of Alabama School of Medicine, since that time it has gained the University of Alabama at Birmingham, one of three main campuses of the University of Alabama System. It is home to three institutions, Samford University, Birmingham-Southern College, and Miles College. In total, the Birmingham area has major colleges of medicine, optometry, physical therapy, law, the city has three of the states five law schools, Cumberland School of Law, Birmingham School of Law, and Miles Law School. 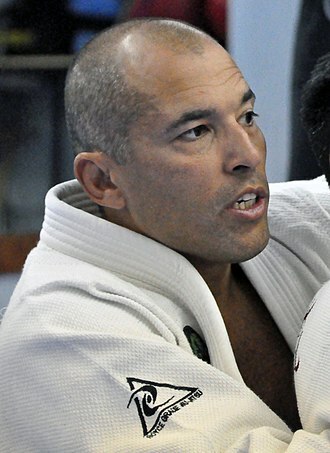 Royce Gracie used Brazilian jiu-jitsu in the early years of UFC to defeat opponents of greater size and strength. UFC Hall of Famer Ken Shamrock was instrumental in the UFC's turnaround into a mainstream sport. The James Wylie Shepherd Observatory is located roughly three miles from the university campus. 2 Harrison Plaza at the University of North Alabama in Florence. 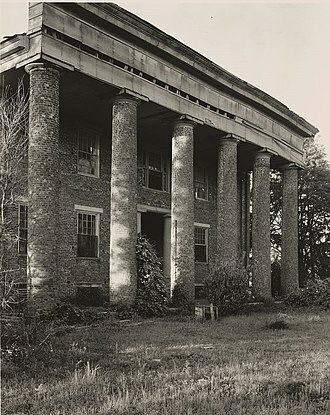 The school was chartered as LaGrange College by the Alabama Legislature in 1830. The monument marking the site of LaGrange College. 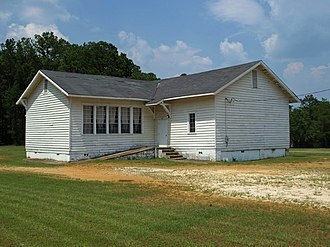 The Kilby Laboratory School was constructed in 1922 and named in honor of then-Alabama Governor Thomas K. Kilby. The building still functions as a lecture hall. UNA has the only university-owned and operated elementary laboratory school in the state of Alabama. The seal of Florence State College is displayed in the masonry bordering Guillot University Center. The Confucius Institute on campus. The international student living/learning center, Pace Hall. Wallace Hall, home to the JSU nursing program. Armstrong with the Raiders in 2014. NAIA headquarters near the Power and Light District and Sprint Center in Downtown Kansas City.